The MoProAuto Original! 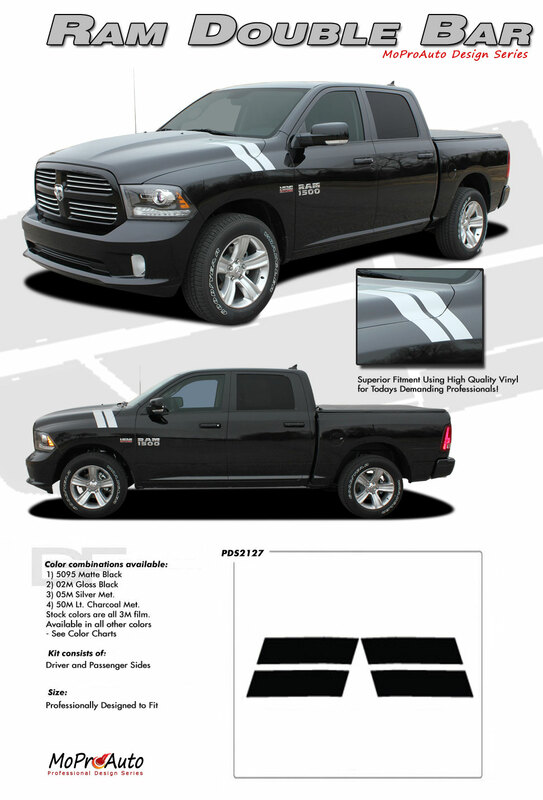 This vinyl graphic for the Dodge Ram is extremely popular for automotive dealerships across the country! Replicating an OEM style, these side hood to fender hash mark stripes are designed for the 2009 2010 2011 2012 2013 2014 2015 2016 2017 2018 Dodge Ram. The vinyl graphic sections included with this vehicle specific kit are the driver and passenger stripe decals. Choose the options needed from the menu, including the premium cast vinyl grade. 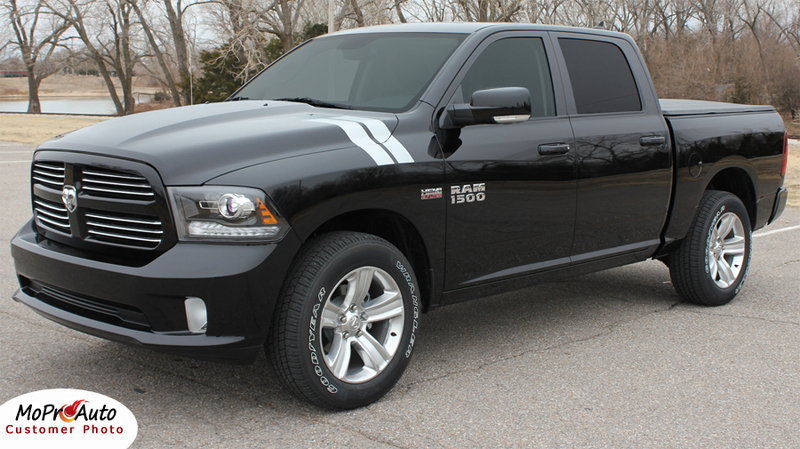 Application Fitment : These professional quality MoProAuto Pro Design Series Vinyl Graphic Kits fit any Dodge Ram from 2009 2010 2011 2012 2013 2014 2015 2016 2017 2018 model years.